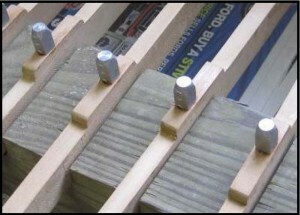 For piano keys to have that “new piano” feel a quality set of key bushings is essential. Felt bushings are to piano keys as piston rings are to the pistons of an automobile engine. Without piston rings, pistons would clatter loosely and ineffectually inside their cylinders. Likewise, without key bushings, the wooden keysticks would clatter against the keypins which serve to keep the keys on track. When bushings are worn and hardened with age, or have loosened and dropped out of place altogether, keys are wobbly, giving the piano a distinct “old piano” feel. 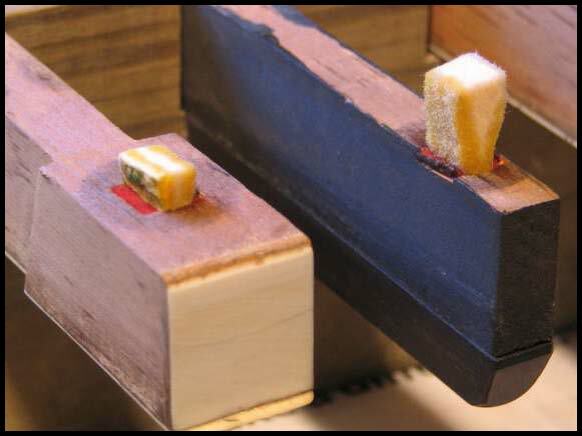 The key bushings of your piano have reached the stage of wear and tear where it would make an appreciable difference in the feel of your piano to have them professionally replaced. The following commonly asked questions have been answered to give you the information you need in order to decide whether or not to have the keys of your piano rebushed. Could you explain more about the function of the keys and how the bushings contribute to their operation? 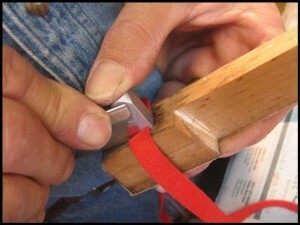 The wooden portion of the key (the “keystick”) operates much like a child’s teetertotter. The middle of the key rests on the balance rail which acts as the fulcrum for the key. When the front of the keystick is pushed down, the back of the keystick lifts up one note of the action which in turn strikes the strings. 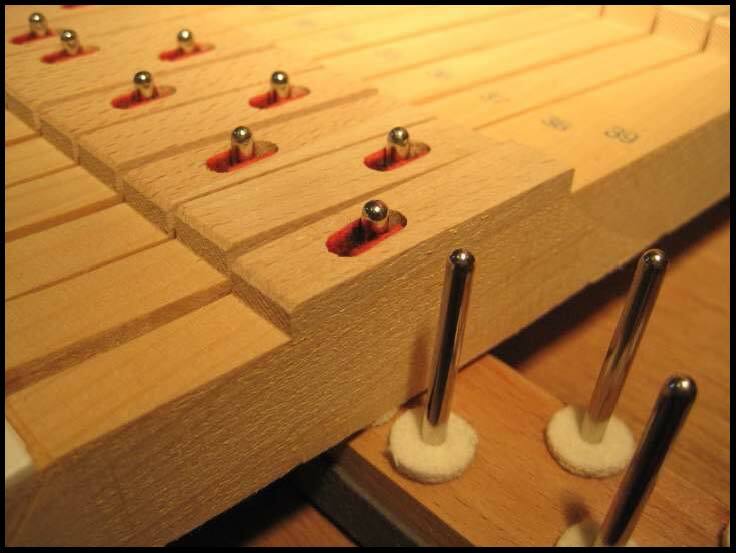 As shown in the above photo, the balance rail punchings (white felts), the balance rail pins and the key bushings (red felts) all work together to keep each key tracking smoothly and silently back and forth as the piano is played. Are the balance rail bushings the only set of bushings for each key? No. 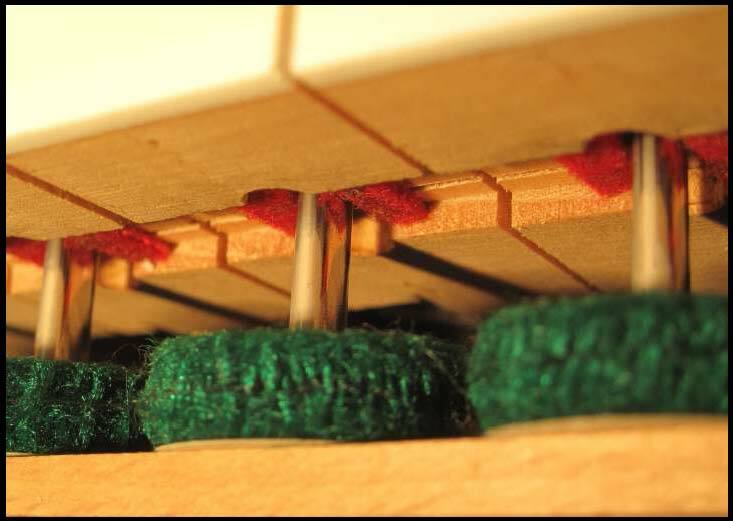 The photo above (shot from underneath the front of the keys of the same piano) shows the front rail bushings (red felt), which help stabilize the key from side to side. Unlike the balance rail pins, the ovalshaped front rail pins do not go all the way through the keys, but fit into a specially cut mortise. The bushings lining those mortises keep the keys snugly in place. How difficult is it to remove the old sets of key bushings? Sometimes a little steam is all that it takes to remove the old bushings—in fact bushings occasionally just drop out on their own. More often, however, the bushings need to be gently moistened over time before they may be safely removed without damaging wood. 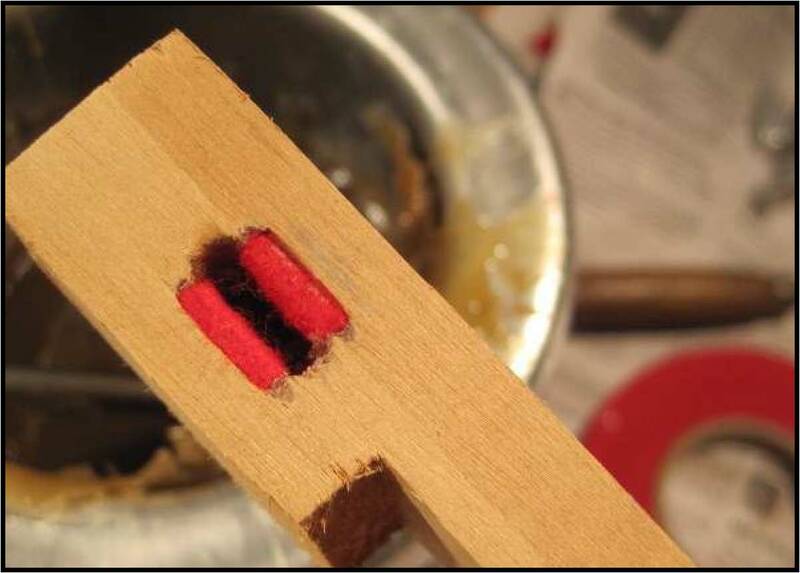 In the above photo, dampened wedges of hammer felt are inserted to keep the old bushings moist while the glue gradually loosens. After this treatment, a technician may safely remove most bushings by the careful use of a set of needle nose pliers, or with a specialty tool—the electric bushing remover. How exacting of a job is it to replace key bushings? First, careful measurements are taken to determine both the size of the keypins which have been used in your piano, and the thickness of the original felt which is being removed. The original thickness of felt is used as a starting point in choosing a felt which will provide a snug fit for the keys without being so tight as to cause binding.Finding the exact size of felt to best fit your piano is an important part of the job. This felt is of the highest quality and will match or surpass the quality of felt that was used at the factory. High quality key bushing felt is available to technicians in thicknesses ranging from .043″ to .067″. Precise measurements are important! How is the new bushing cloth installed? 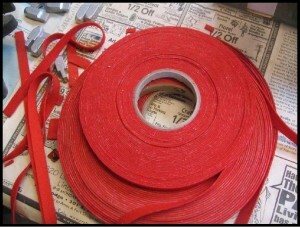 at works best for your specific piano, but in general the correct length of felt is inserted and glued into place (using hot animal hide glue or an equivalent). 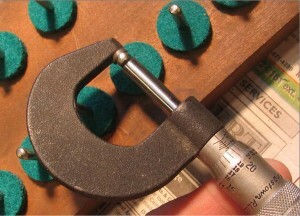 After the felt is inserted into the key, a sizing caul (a precision fitting device) is used to hold the felt in place while a razor is used to slice it precisely to the correct length. The caul will then remain in place in the mortise of the key while the glue is allowed to cure. Here, a set of keys that have been rebushed are allowed to remain overnight in a drying rack with sizing cauls in place. When the keys are returned to the piano the next day the felts will have set at the exact thickness needed to provide a snug (but not tight) fit on the keypins. After the keys have been returned to the piano they will be given a final test for fit and will be eased (adjusted) if necessary for an absolute consistent feel from one note to the next. If your piano action is in good regulation and the hammers are in good shape, your piano should be as responsive to your touch as the day it left the factory and will be a pleasure to play once again. A key which has been professionally rebushed.